The world’s largest container line, Maersk, is making waves thanks to its impressive green improvements: yesterday the company announced that it signed a deal to purchase ten Triple-E ships, the most eco-friendly and efficient container ships ever built, with an option to buy twenty more. If all 30 ships are purchased, the deal would reach $5.7 billion, the largest order in shipping history. Maersk invested in the the new mega-ships due to their energy efficiency, lower environmental impact, and economy of scale. The ships will be the greenest container ship to ever set sail, producing 50 percent less CO2 than the industry standard for Asia-Europe trips and consuming 35 percent less fuel per container. Not only do the ships set a green benchmark, but they will be the largest shipping vessel ever built. Daewoo Shipbuilding & Marine Engineering Co., a South Korean company, will build the ships, which will be 400m long, 59m wide, 73m tall, and carry 16 percent more than the current standard. 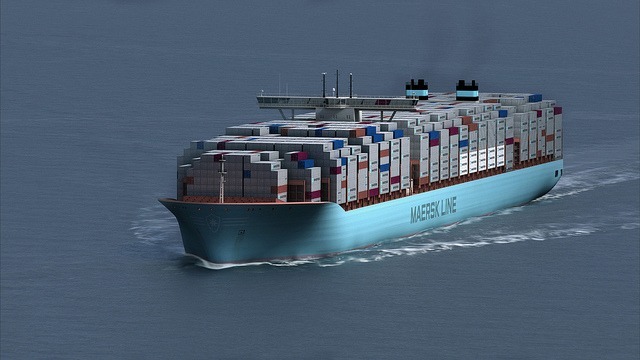 Maersk will use the ships to transport everything from gadgets to groceries between Asia and Western ports that are big enough to handle them, including Rotterdam in the Netherlands and Felixstowe in England. U.S. ports are too small to handle the vessels. Long a green innovator, Maersk has a strict and detailed environmental policy and, a few years ago, it became the first shipping company to independently study its fleet’s CO2 emissions. Many people consider the number of miles a product had to travel when thinking about its impact on the planet, and Maersk wanted to accurately understand a product’s whole carbon life cycle to help them be more efficient. Shipping is possibly the most efficient form of transport, but that does not mean that the industry can ignore its contribution to global warming. By purchasing eco-friendly ships, Maersk is reducing its impact and setting a green example for container shipping. Here’s hoping that more companies will do the same. want to make positive imapct on the environmental costs of trans-oceanic shipping???? QUIT BUYING SO MUCH CRAP FROM CHINA! Properly Read: These ships will enhance our future profits, and we can claim good PR with the green folks. Capitalism and the Environmentalism can indeed coexist. 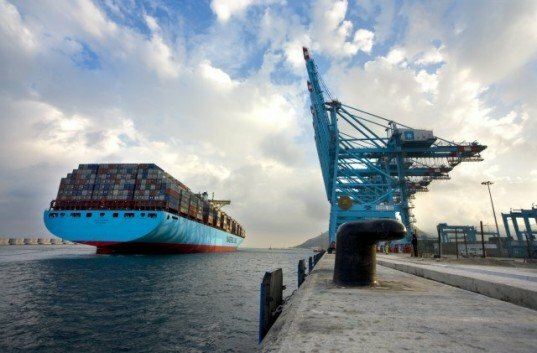 The world's largest container line, Maersk, is making waves thanks to its impressive green improvements: yesterday the company announced that it signed a deal to purchase ten Triple-E ships, the most eco-friendly and efficient container ships ever built, with an option to buy twenty more. If all 30 ships are purchased, the deal would reach $5.7 billion, the largest order in shipping history.